Have you ever observed a team that’s full of talent struggle? Have you ever scratched your head when the seemingly better equipped company faltered while others thrived? Let’s be honest: it happens. And when this phenomenon takes place, the easiest excuse is to think it’s because of luck. “Those guys caught a break; they got lucky and the power crystals did it again,” you might think. (Well, probably not the crystals part, but you get the idea). But is luck really the reason for the apparent madness? Perhaps that’s part of it, but the root of this good fortune is grounded in something much more substantial. Take the NCAA Basketball Tournament, for example. 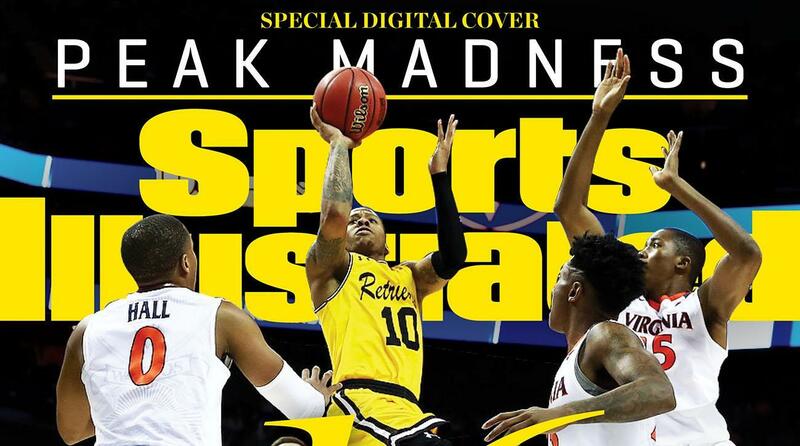 Every spring, men and women’s collegiate basketball players engage in a playoff that has been described a lot of ways…unpredictable, incredible, bonkers, and so on…but is best summed up as simply, March Madness. Trust me, if the quote unquote better teams always won, then there would be very little Madness. This year, in a mere two rounds of action, two #1 seeds have been knocked out! And a #16 seed (UMBC) recorded a win for the first time in history! And defending national champion North Carolina has also been bounced from the action! And just one year ago, the Mississippi State women’s team upset UConn, which had won 111 straights games, in the Women’s Final Four! I think you get the idea. So why do teams with potentially less talent rise to the occasion? BE BOLD enough to charge into the storm and believe you have what it takes to get through it. A #1, #2 or #3 seed can be incredibly daunting to stack up against if you’re a small school, a major underdog, or used to playing in front of 5,000 fans rather than on national television. However, the teams that win enter the game with a genuine belief that it’s possible, and a confidence that snowballs with each made basket and defensive stop. BE HUMBLE enough to put the team’s success ahead of any one individual. To defeat a heavy favorite, it takes “the extra pass” to an open teammate, a collective commitment to boxing out defenders, and five players at a time operating in synchronized unison. The minute one person decides to go his/her own way and get selfish, the team’s upset bid is jeopardized. EXECUTE ON YOUR VISION WITHIN YOUR UNIQUE ABILITY. When a team is aligned around the goal (the win) and the game plan (how to win), players must go out and make it happen. If it is to make 3-pointers, the players must set each other up for clean looks at the basket, and also put the hot-hand in position to keep shooting. The best shooters must get open shots, talented rebounders must focus on maximizing that skill, ball-handlers must avoid turnover, and so on. Pure execution of a vision is when the right people are in the right spots, playing to their individual strengths within the team’s plan. Within these steps are many variations of high-scoring games, defensive struggles, foul trouble, buzzer-beaters, and comeback victories, but the framework stays the same. In our experience, companies are similar. It takes a confident, charge into the storm kind of will, mixed with the humility to put team success first, and a clear vision that gets implemented by all to consistently be the best even when others have more money, fancier offices, or more expensive executives. Simply put, if you always BE A BUFFALO, you’re going to win more often than not…even when odds are stacked against you.